The second full day of Apple’s trial vs. Samsung over patent violations took place today, and it was fairly action packed. Today, Apple Senior VPs Phil Schiller, Scott Forstall and others were scheduled to take the stand for testimony. Here’s a rundown of how the day progressed. Right out of the gate, Judge Lucy Koh reprimanded Samsung for sending someone into the courtroom yesterday to take pictures. But Samsung denied knowing who that was. She then said that objections on both sides have been ludicrous and that she’s tired of the paperwork. Therefore, any objections will have to be made in person and will eat into each parties trial time of 25 hours per. Apple’s request for stiff penalties toward Samsung for releasing inadmissible evidence to press outlets was denied by Koh. But she did say she might address the issue later with the legal team. Samsung is, of course, ticked that it can’t use its ‘Apple copied Sony’ defense to invalidate Apple’s patents. Koh then polled the jurors to see whether any of them had read any headlines about the case, including ones based on Samsung’s leaked evidence. Only one fessed to reading a headline about the Apple design team’s ‘kitchen table’ meetings, but said they could remain impartial. Koh said that the court staff would provide them with a collection of stories at the end of the trial so that they would not feel left out. Then, Judge Koh rules that Apple could not keep a marketing survey of its customers private, so that’s going to be allowed into evidence. Apple lawyers argued that the numbers were private and consisted a trade secret, but will have to appeal if it wants to take another stab at keeping the records sealed. 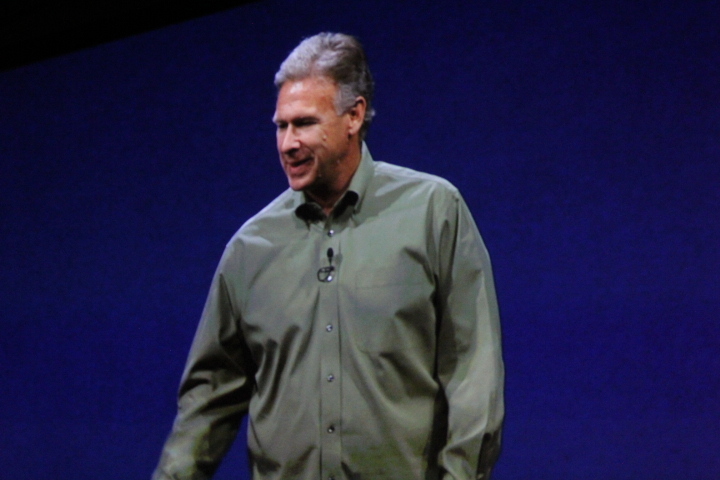 Apple’s SVP of Worldwide Marketing, Phil Schiller, then took the stand for testimony. He was wearing a suite with a yellow tie. Schiller began testimony by talking about the creation of the iPhone, saying that it was primarily about putting entertainment content onto a pocket-sized cell phone, and that it came about after it had been working on the iPad project. Articles from the launch of the iPhone, and then the iPad were presented, displaying the reviewing public’s positive reactions to the products. Wall Street Journalist Walt Mossberg’s iPhone review is referenced, as well as colleague Yukari Iwatani Kane’s piece on the iPad. Schiller defines the success for Apple when it comes to sales of each model of iPhone as “Each new generation sold approximately equal to all previous generations combined.” Which is an insane metric. Schiller also said that Apple expects to sell as many next generation iPhones as every previous model sold altogether. That’s an incredibly high bar for success, but one that Apple has managed to meet for several releases running at this point. When the cross examination began, Samsung started firing away at Schiller with questions about the iPhone’s design. Samsung council Charles Verhoeven made a series of gaffes when crossing Schiller, including calling Jony Ive ‘Ivy’, handing Schiller a Samsung Continuum instead of a Samsung Infuse, confusing the company’s own phones, and calling the iPhone home button a ‘bellybutton’. A term, by the way, that we have never heard anyone use to refer to any part of any phone. Verhoeven even asked Schiller if the design of the iPhone “5” would be changed. Schiller declined to comment about ‘future products’ and Samsung didn’t press. 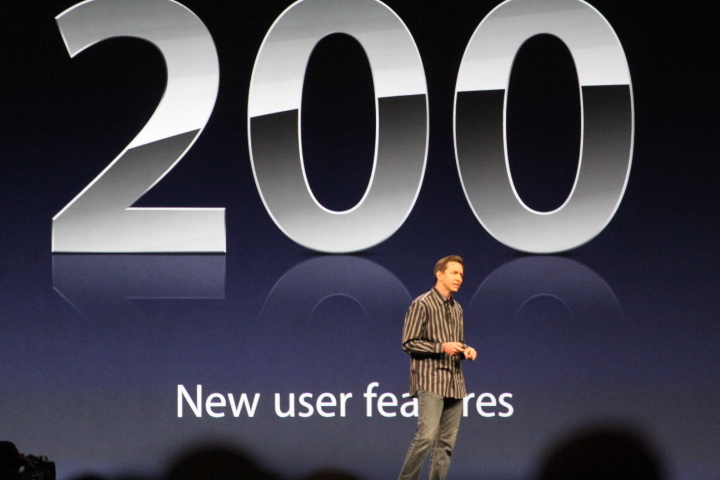 After a few more questions, the court moved on to SVP of iOS Scott Forstall. Forstall is Apple’s SVP in charge of iOS devices, and Samsung brought him up to testify next. Forstall says that he dedicated “years of my life to this, as did hundreds of people on this team. It was very, very difficult.” He emphasized that capacitive touch was used because resistive technology was too crude. “We were changing the entire user interface around touch. We had to rethink everything,” said Forstall, according to a tweet from journalist Mike Swift. Forstall’s testimony was wrapped by Samsung legal council showing him an internal email sent by Apple SVP Eddy Cue in January of 2011 talking about a desire to produce a smaller 7-inch iPad. The email was in response to a journalists article about switching from the iPad to a smaller Samsung tablet and Steve Jobs was apparently receptive to the idea of a smaller tablet. For a roundup of day one’s coverage and more, check out this post.